7 years ago we welcomed our son Blake Wesley into this world. Blake had a rare chromosome disorder and with that came many birth defects. The day he was born both Blake and myself had to have blood products to survive. In the 10 months Blake was in the NICU he received blood products many times which gave us more time to make precious memories with our son. Sadly after 10 months and a hard fought battle Blake gained his wings. The red Cross step in again to help us get Blake’s daddy home from deployment. Our blood drive helps us heal and helps us create more memories with our sweet boy. 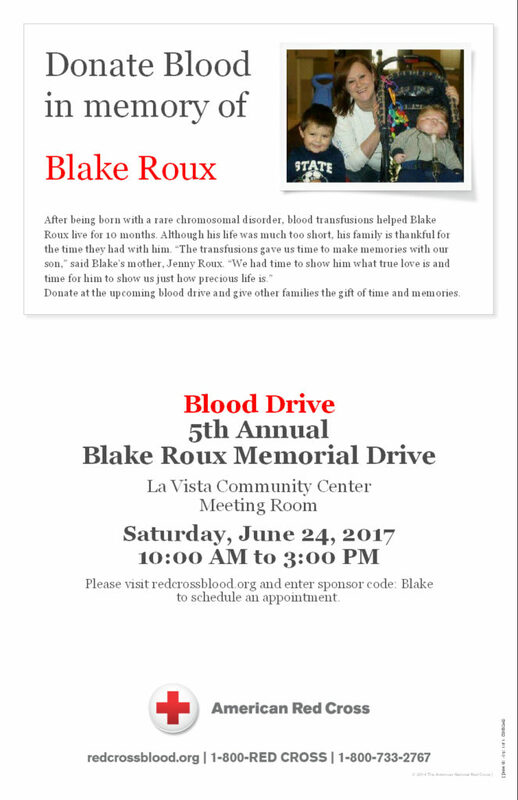 Please help us honor Blake and his legacy he leaves behind.